As this years European tour has come to a close I can't help but feel a touch of sadness. When you wake up at home after weeks of excitement and adventure, the routine bowl of cheerios just doesn't have the lustre it used to. I usually get hit by a bout of Post Orienteering Stress Disorder at the end of the summer. The more fun I've had, the worse the POSD. Thankfully the Fall schedule promises action so a cure is on the way. The summer of 2013 brought a wealth of new experiences for me: an enlightening week of training with a new coach, three WOC races and five days of O-Ringen Super Elite. Every race challenged me to and occasionally beyond the limit of my abilities. I was better prepared for this trip then anything I've undertaken before and it's a good thing too. We ran over mountains, across kilometer long swamps, we hunted flags on vast hillsides covered in rock, traversed endless miles of spongy energy absorbing moss, all with thousands of onlookers cheering us on. It was an incredible month with many highlights. 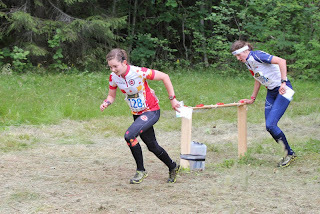 Boden was my third O-Ringen and without fail I was blown away first by the scale of the event, then the incredible orienteering and finally in the results. 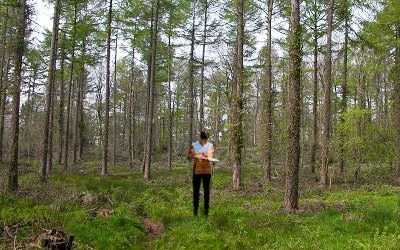 They say O-Ringen is the King of orienteering events and I'm inclined to agree. There was something special about running H21-E for the first time that set these races apart for me. A course that takes Thierry 90 minutes is no casual affair! Now run two of them plus a sprint, middle, long and that's O-Ringen Elitsirien. Challenges like these are what drive you out of your toasty bedroom on the crisp January mornings when 'sane' people stay inside. Each day was full of personal triumphs: new most difficult long, first big spectator sprint, hit competitive speeds at an international long, scale a cold war fortress, a spontaneous lunch with Per Forsberg, clean socks every race... the list goes on. This video from O-Ringen TV nicely portrays the atmosphere of O-Ringen. Of course the main purpose of my trip was the Worlds. For athletes involved, the entire year revolves around this one competition. A fact that both amplifies and alleviates the emotions that swirl as the week progresses. This year we made a conscious effort to tackle the psychological challenges of WOC. A subtle and complex affair that paid big dividends considering the average age of the team this year was 24. 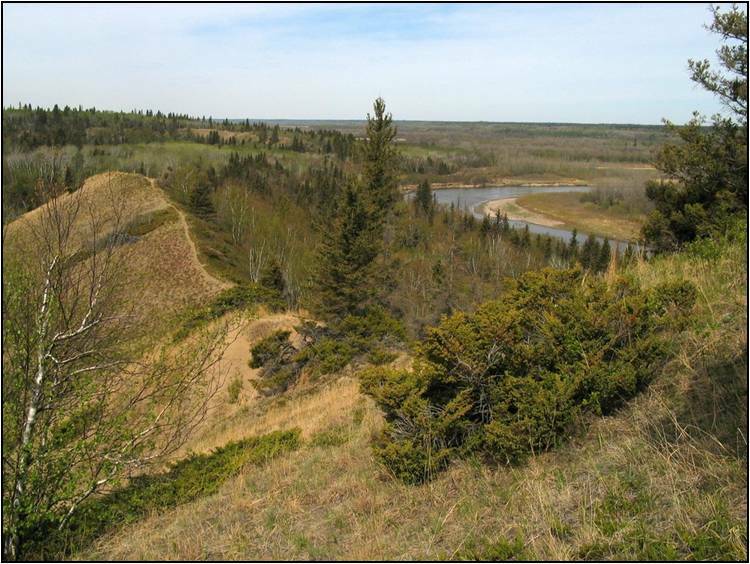 Learning to Orienteer in Canada, it is difficult to overcome the 'European factor'. I was bewildered when I started racing competitively at the 2009 JWOC in Italy. Five international championships later and at last I am beginning to feel properly competitive overseas. To succeed at this unforgiving sport requires a long list of skills. We're familiar with the technical and physical sides. You go out training, run intervals, etc... But how does a person deliver when it really counts? Following through requires confidence, a dangerously fragile emotion in this sport. After Vuokatti it is clear to me I still have a lot to learn from sports psychology. This year was a definite step in the right direction but there's still work to do. If I could have seen the path that orienteering would take me ten years ago I would have been stunned. There are a lot of dedicated and passionate people that have helped me along the way. Thank you. Here's to the next ten thousand controls! Prior to the WCOC championship races a sprint weekend was held in Winnipeg on some great sprint maps. Eight races were held over two days! (4 races per day) concluding with a barbeque after the last race. Also in conjunction with the championships was the Sass Peepre Training Camp for juniors and adults. The weather was great, well a little wet for the long distance but was perfect for the middle and sprint. The small but mighty Manitoba organizing committee did a great job putting on a very fun weekend of orienteering! Thank you! Long qualification: Emily and Louise make final. Brit Cat Taylor surprises by winning her heat. In the world: Djokovic and Murray battle it out for Wimbledon title. Sprint qualification and final: Heavy Finn celebration as Marten Bostrom wins gold in Men's race. In the world: At least 42 islamist killed outside Cairo military barracks where ousted president Mohamed Morsi was being held. In the world: Greek public sector workers protest looming job cuts. 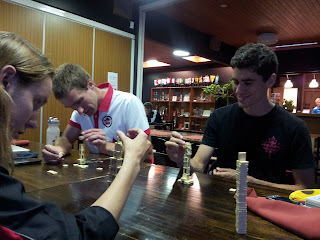 Rest day: Competition continues as our team tries to build the tallest tower possible with scrabble pieces. In the world: Boston marathon bombing suspect arraigned in federal court. Middle qualification: Emily and Louise make final. Kerstin has excellent race and misses narrowly. In the world: The internet sensation Sharknado is released. Middle final: Simone Niggli wins her 3rd individual gold of the championships (23rd total). Our neighbour (in our accommodation) wins the the first ever TempO. In the world: Snowden (still in Moscow airport) requests meeting with lawyers and activists. Relay: Emily has a good first leg, handing off to Louise in 11, just ahead of Czech republic. Louise finally patches together a good race coming back in 10th, just ahead of Italy. Men improve position over 3 spots from last year. In the world: Brazilian man killed when cow falls through his roof. My first O-ringen has come and gone, and what an incredible series of races it was. When I arrived at O-ringen town on the 18th of July, I was surprised by the sheer amount of people that were there. That is, until I was informed that most people would arrive over the next few days and that this was, in fact, a small O-ringen with the population of O-ringen town being just under 10 000. In other words, it was like half of Whitehorse had suddenly decided to get together and camp out on an old army airstrip. The next day was spent going to a training area a few kilometers away and promptly getting lost in the maze of boulders, not unlike this year’s JWOC middle. However, we survived the forest and the bugs, and were back in time for an early sleep in preparation for the Axa relay the next day. Axa is for youth aged 13-16 and each region sends 2 teams. I cheered on the Sør Trøndelag team as they ran into 18th place. 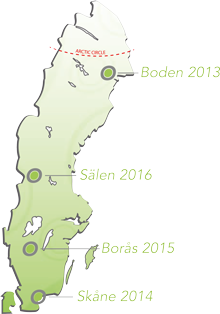 This year, O-ringen consisted of three longs, followed by a middle, and then a long middle (mine was 5.4 km-the elites ran over 10km!). As I walked/ran the 4.3 km to the start of the first long, I was amazed at the train of people I was with. As far as the eye could see, there were 4 or 5 people abreast migrating to one of 8 starts. My two main goals for this race were to not get distracted by other runners and to take the first control slowly, giving myself confidence for the rest of the race. The first goal I found surprising easy. While I noticed other runners, I didn’t let them affect where I ran and how I navigated. Unfortunately, the second goal was to remain unaccomplished. I made at least 5 min of error, and was annoyed to realize (once I finally relocated) that I had run some 20 m shy of the control, just a little too low. Fortunately, I was able to pull myself together for the rest of the race, although I was plain tired by the end of it all. The race was also interesting as it was divided into two sections: a technically challenging and hilly section to start off with followed by a flat expanse of sand and confusing trails. The trick was to switch techniques halfway through, which is easier said than done. The second day dawned as a fresh start, and I was determined to have a better race than the previous day. I was in the first start block, meaning that I started at 9:17 in the morning. Unfortunately, I fell victim to the same error as the previous day in terms of the first control. The second control was easy to find. However, as I was running to the third, I began to feel quite sick. I was able to run most of the way to the third before I started to feel so sick that I was unable to concentrate on the map and course. I bailed to the first aid station and was given a ride back to the arena. This was the first time I have had health issues while I was running and I promised myself I would not let it happen again by keeping myself hydrated and fed, as I strongly suspect those two factors to have caused my episode in the first place. That evening, we got to watch the elite categories tough it out during the sprint in the center of town. We went on a control hunt and found the race to be very spectator oriented: most of the controls had but a small circle of clear around them. It was great fun to cheer on Eric, Emily and Serghei! The arena on days 3 and 4. The ski hill in the background was fun to climb! The third day of racing was preceded by a much needed day of rest. As the last long, I was determined to make my two goals of hitting the first control and not letting others distract me. Happily, I was successful. Unfortunately-when looking back-I made a few sillier route choices on the longer legs. I found myself counting contours as well-and groaning when I realized just how much I would have to climb! I also (upon loosing contact with the map) lost approximately three minutes on the second last control. I found two extra controls during my search, although I still can’t find features on the map which are in the right places for those two controls. The middle turned out to be my best race. I had a small deviation on the first control, but pulled myself together for the rest of the race. I had minor deviations on controls 6 and 7, but finished the race in good spirits and elated with my placing of 46th out of 116! The last day was a chase start based on your performance over the last four days. As I had disqualified on day 2, I was ineligible for a place in the chase. The race ended up being held on (most likely) the hottest day of O-ringen. I visited three water stations on my course, and still could have used more. Perhaps the most exciting part of the race happened at my second last control. As I was coming into it, I saw the red hair and bright yellow jersey of Tove Alexanderson. I had just punched when Simone Niggli came charging past me. I attempted to keep up, but it will come as no surprise to all that I was unable to do so. However, in the excitement, I lost my place on the map. I was completely confused as to where I was, and finally decided to follow the stream of people, hoping that I had not missed the go-control, as there was a section of flagged route before the finish chute. Luck was in my favour, but I hope that I am forever discouraged from blindly following world champions. With JWOC finally completed I had the opportunity to travel with the U.S. Junior team to a training camp in Oloumoc, Czech Republic and the Karst Cup in Slovakia. The day after the banquet and relay, we were off to Oloumoc where we had our first training in the beautiful open forest. For the next three days we had multiple trainings (with S.I.!!) each day on some very unique terrain. 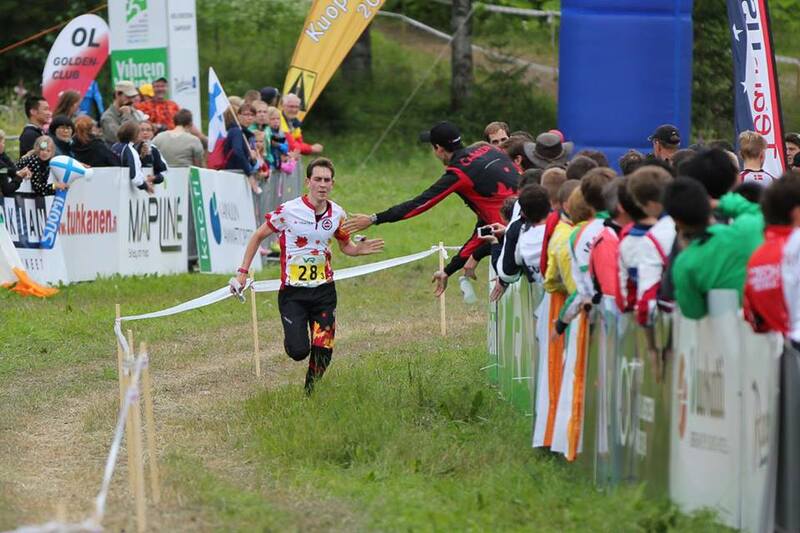 I could say this training shown above was the most memorable training but not because of my orienteering. It had more to do with the fact that 90% of the map was covered in either dark green forest or marsh and sometimes both. A particularly 'exciting' moment occurred on the way to the 14th control when I managed to fall/sink into a mud hole up to my waist! Unfortunately no one else was around, so I had to 'worm' my way out. And for all you JWOC and WOC junkies out there, you should recognize which JWOC or WOC race was held on part of this map. Another training that stuck out to me was on terrain very similar to the JWOC relay, so pretty much vegetable orienteering. Thankfully I can say this training went much better than JWOC! You have to be very disciplined in using your compass precisely and using strong attack points and linear features where possible. I think this is a good example where I have learned lots on this specific terrain and will be able to use my new found skills on other vague terrains. On our last day of training we had a sprint in a beautiful garden in Oloumoc. I didn't have the legs to push myself at all but it was a very interesting sprint area that I really enjoyed. So with the training camp finished, everyone is completely exhausted (hadn't had a rest day since half-way through JWOC!) before we headed out to Mosovce, Slovakia for the Karst Cup. Surprisingly there wasn't much karst terrain but rather lots of continental European terrain. I was actually quite happy about this because I have had a little too much trouble on continental European terrain and some practice on it was very much welcomed. It was a four day event with the last day being a chase start. The first two days were long disciplines but they cut back on the distance therefore both of them were about 7-8km with 200-400m of climb. On the first day I definitely blew some legs and lost lots of time due to not thinking through my entire leg (attack points are useful!) and being distracted by other runners. The next day I was very composed and focused and was able to have a much better race. The third day was a middle distance which was a rollercoaster. Ups and downs throughout the entire race. I managed to surprise myself in both the good and bad ways. Trying to be optimistic, I managed to win a split! Being completely honest, I am surprised I finished the chase start on the last event. It reminded me of my JWOC long where absolutely everything went wrong. However I wasn't the only person having trouble because I managed to keep my 7th place position! The thing I love the most about these 'smaller' competitions (there were still 600 people) is how carefree I am about the results which allows me to be more focused on the orienteering and how I can improve for the next day. I think this shows that I have to do more psychological training for the big competitions so I can treat them like these smaller competitions. Just before heading home, I spent two days with the U.S. juniors in Vienna for some R & R. Finally a big thanks to Barb Bryant who organized this entire trip. I feel as if I learned more in that one week than I have in this entire summer at home and none of that would be possible without Barb!